3 Commercial Real Estate & Properties in Caboolture South are listed in 2 categories. We have 2 OfficesLease and 1 Industrial Warehouses Lease . 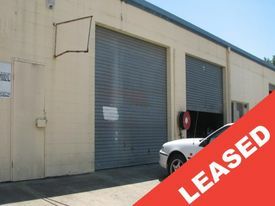 Neat little industrial warehouse located off Morayfield Road Provision for good signage Three phase power Easy access Kitchenette Roller door. Available Now!! Fantastic Home Office - Revamp To Suit Your Needs $2000 PCM incl GST plus o.. This beautiful 3 bedroom home is perfect for medical/professional office space. It is currently zoned Metropolitan Centre Zone Precinct 3 which gives you as a tenant endless opportunities to transform the site to suite your business requirements! Surrounded by retail/medical/professional office tenants Great exposure to Morayfield Road Corner position 650m2 approx. block 3 large bedrooms, 2 with built in wardrobes Large open plan kitchen/dining Large open plan lounge room Large laundry with plenty of cupboard space 1 Bathroom Separate toilet Large garage with ample storage space Ducted air conditioning Disabled access Front undercover patio Fully fenced Neat, solid home Don't delay! Take advantage of this fantastic opportunity and contact Michaela Webb to arrange an inspection or for further information.